This question is asked in various tones. Both of the latter questions are 100% viable (and I’ll just pretend that the top three were never asked). I understand why people would ask them. I probably would ask the same question if someone told me they were moving to a “foreign” country. Gotta love the word “foreign”. Honestly, I think in our day and time, it’s a very dated word. What’s foreign anymore? We don’t even call our languages department “Foreign Languages” anymore. We are now called “World Languages“. The only reason we can call something or someone “foreign” is because we haven’t taken the time to learn anything about them. With the world being as small as it is these days, I think that’s a darn shame. But to get back to the point, I think it’s high time I answered the question of whether we “have a place” already. The answer is “no”. We don’t have a “place”. We sold our house here in St. Louis, we are going to move to France this summer, and when we get there we will have a “place” rented before the container with all of our household goods arrives 2-ish months later. No stress. We’re going to rent an apartment, and hopefully a really cute one with a guest room and an office (am I dreaming?). We do happen to be in the fortunate situation of having family in the area, so we won’t have to worry about where we will stay in the meantime. That said, we are not independently wealthy, so we will certainly be working in France! About a year ago I started thinking that rather than looking for a job to work for somebody else, I’d rather create something of my own. What have I come up with? 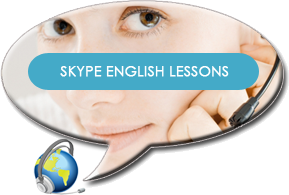 Teaching English and French via Skype: I got hired on by a France based company to teach English and French with them, and I already have five (sometimes six) students. It’s so much fun! I wasn’t sure how I’d feel about it, and in the beginning I was really nervous. As it turns out, I love it! My husband has a business background as well as teaching in a French immersion school. I have lots of teaching experience. The plan is to start up our own Internet-based language school, and I am very optimistic. I recently started a new blog to that effect: learnfrenchwithjennifer.com It’s only the beginning, but I know it will be something wonderful. Oxbridge Académie de France: A year and a half ago, this was a longshot. I applied for the position of Dean at this French immersion school in Montpellier in February of 2012, but I was too late for the summer of 2012. I wrote it down in my calendar to not forget about applying in 2013. The job description seemed to fit me like a glove. On January 4 of this year, I sent my CV and cover letter off to Oxbridge and hoped for the best. It wasn’t until March 1 that I heard from the Executive Director of the school. A month and a half and two Skype interviews later, I’ve just been offered the job. I’m clearly on cloud nine! It will be a summer of joy, I know it, because I love working with young people who have a passion for France (and French!). It will be exhausting, but so rewarding. My family will be just a few kilometers down the autoroute, so we will get to see each other often. And how about that updated CV? Sounds like a good plan to me. What has being 40 (alright, 41) taught me about self confidence? At this particular point in time, I honestly feel that the world is my (our) oyster, and why shouldn’t it be? I’ll be the first to admit that I see the jar half full. What’s the harm in that? In the last six months I have come to believe that sometimes you just have to give yourself a chance. 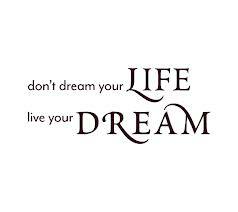 Why wouldn’t something good happen for me if I’ve worked hard for the last fifteen years to try and fulfill my dreams? (Side note: It’s actually been 22 years, ever since I became a single mom at age 19 and decided I didn’t want to be a statistic). I’ve often had the opinion that I’m not quite good enough at what I do for my dreams to come true. I know, I can hear the violins. But honestly, if we can’t believe in ourselves, who else would have a reason to?